When you start to pay attention to fencing—look at your neighbors’ fences or search online—you’re likely to discover quite a range of looks, from wood to vinyl to metal, from basic vertical pressure-treated or composite boards to more decorative horizontal cedar planks, from edge-to-edge layout to unique designs that look more like modern art than fencing. 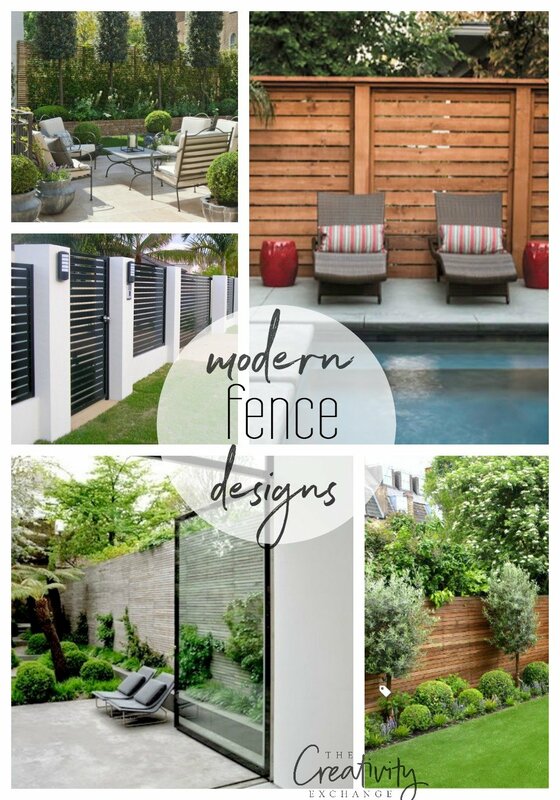 And with many DIY options available, you can get quite creative when it comes to beautiful modern fence design ideas. 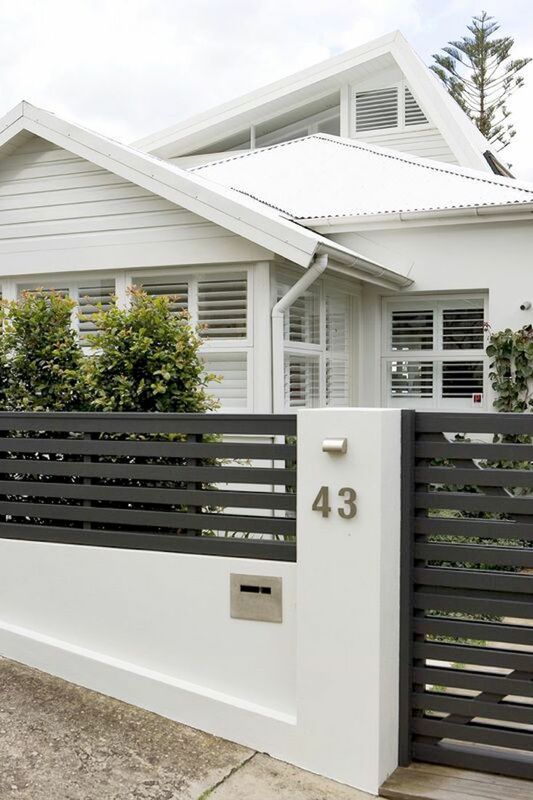 Today let’s look at some modern fence design ideas that might inspire you to add some creativity when installing fencing. Traditionally, the most common design for fencing has been vertically hung fence pickets. “Traditional” doesn’t have to mean “boring.” The clean lines of this vertically hung wood fence with horizontal elements would complement a variety of home styles. 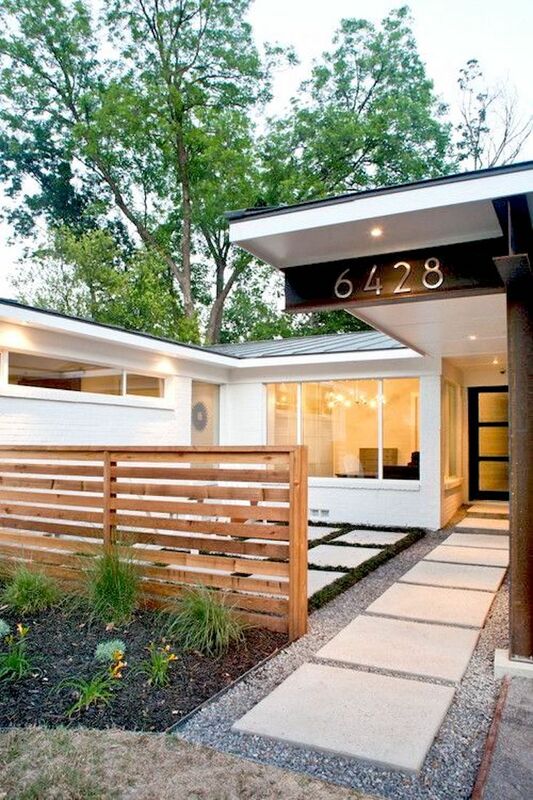 (Its current location is alongside a mid-century modern home.) 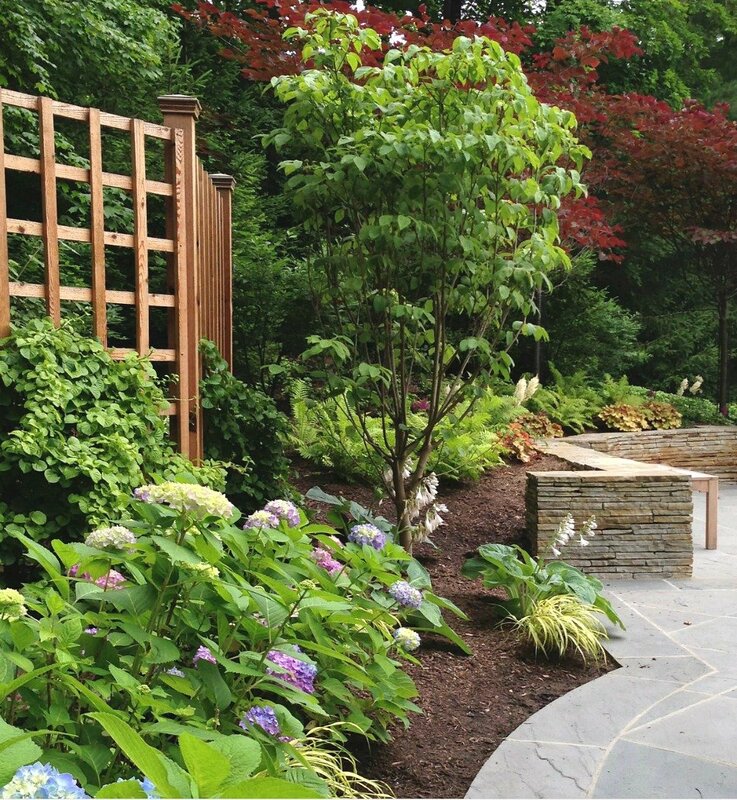 The darker, muted stain color makes a lovely backdrop for colorful landscaping flowers and plants. 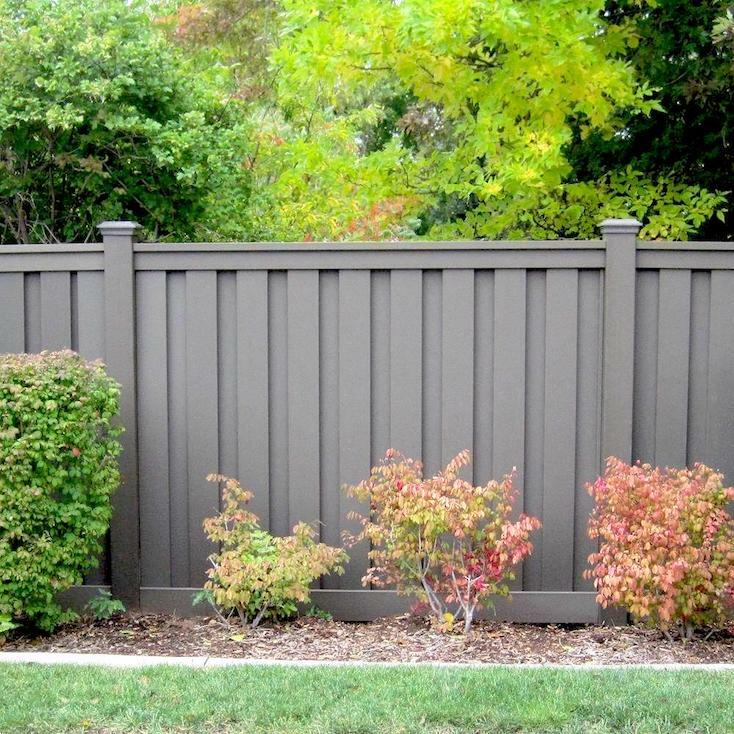 This wood-plastic composite fence offers an updated look to traditional vertical fences. 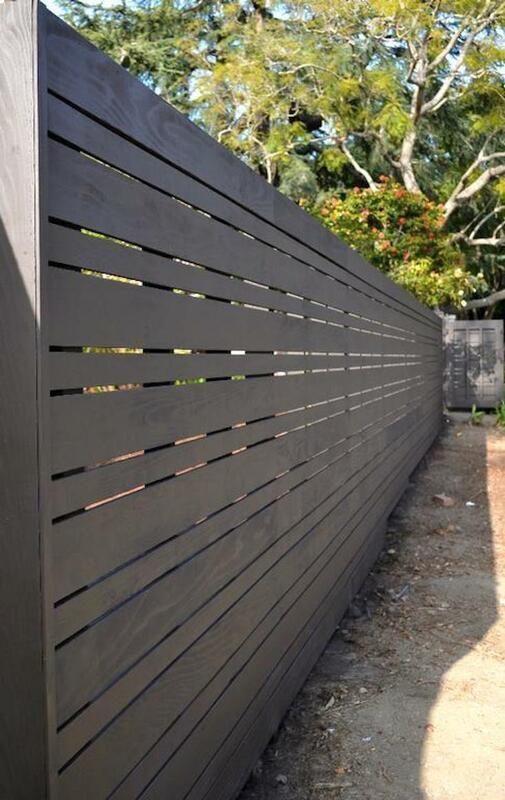 The fencing, from manufacturer Trex, comes in 6- by 8-foot panels that are designed to be easy to install. The composite material, which is made from recycled wood and plastic bags, won’t rot, buckle, or sag, and the board-on-board layout ensures maximum privacy while still being attractive on both sides. Vertical pickets offer a more conventional fencing look, but simply by rotating them 90 degrees to horizontal (and installing/constructing the support posts and rails accordingly), you get an entirely new look. Horizontally hung slats lend themselves to more custom designs. 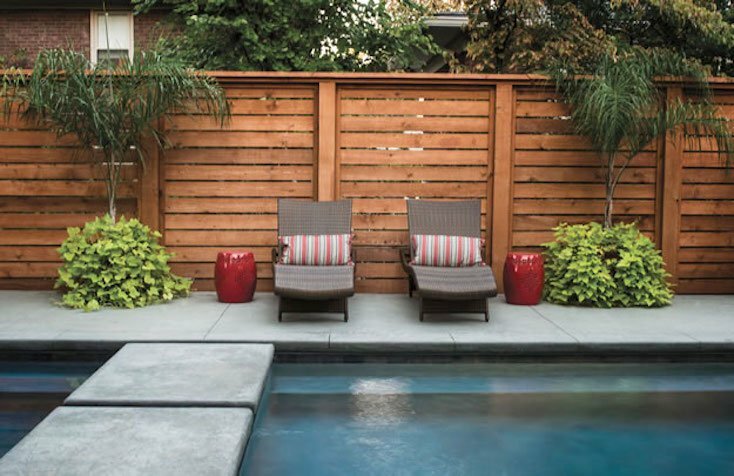 This stunning poolside fence is constructed with horizontal cedar slats and helps create a relaxed yet sophisticated retreat-like backyard space. 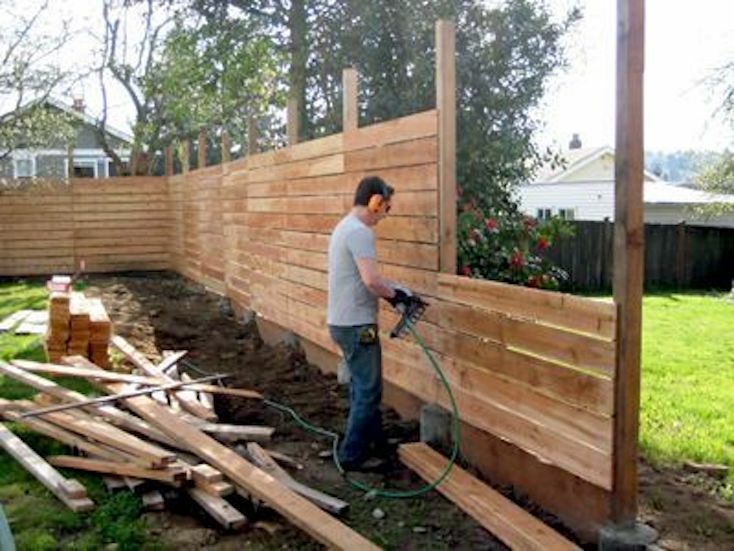 This massive (8- to 10-foot-tall) cedar fence built in a board-on-board design offers so much privacy—and looks beautiful doing it! 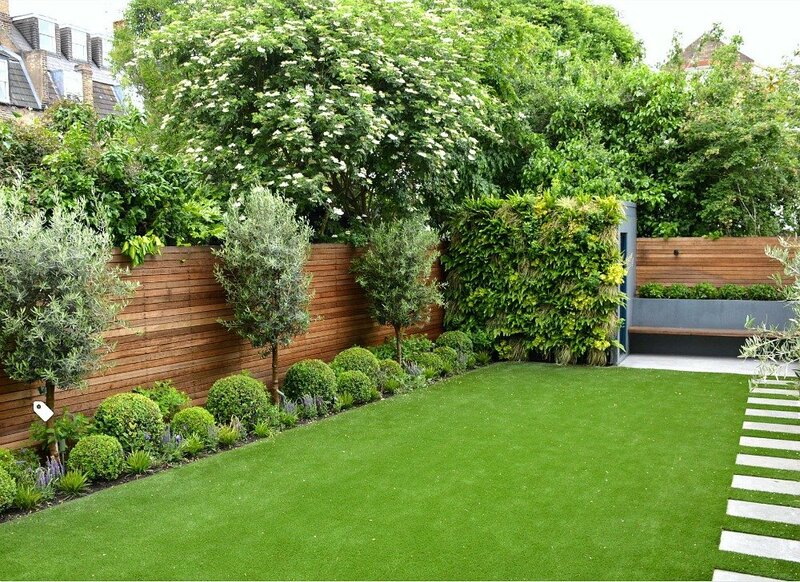 Another beautiful modern fence accented with trees and greenery. 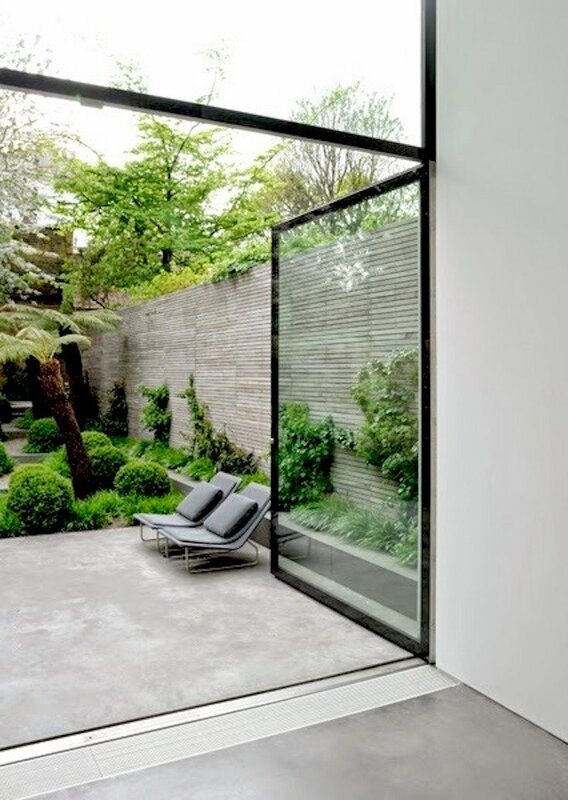 Speaking of greenery, this modern horizontal fence has ivy growing on it and trees growing in front to break up the fence and to make the fence appear to be a part of the garden/organic. Beautiful combination! 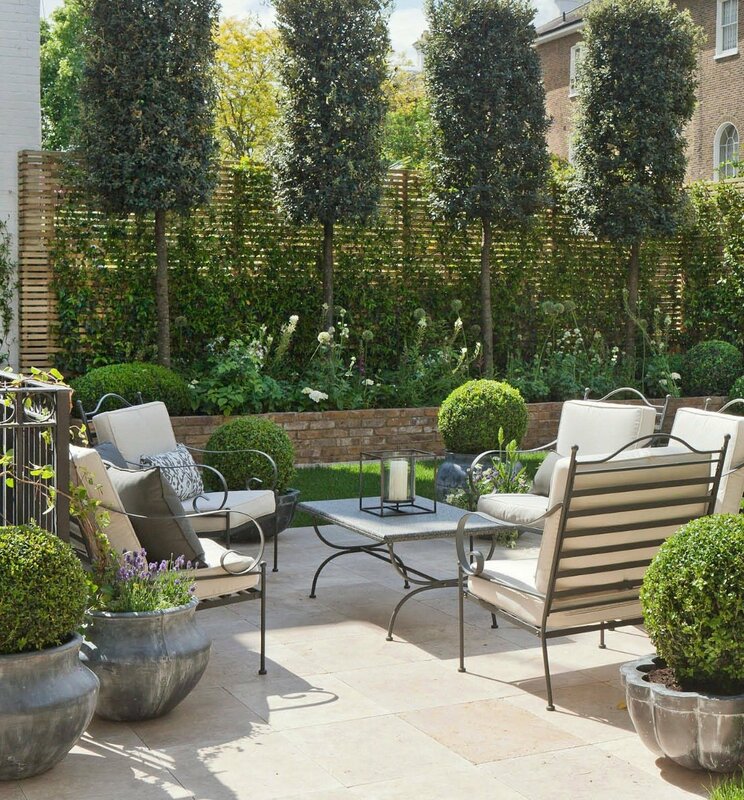 In this small garden space, the light-toned wood fence with horizontal slats spaced slightly apart lets in some light to make the area seem larger yet still offers privacy. 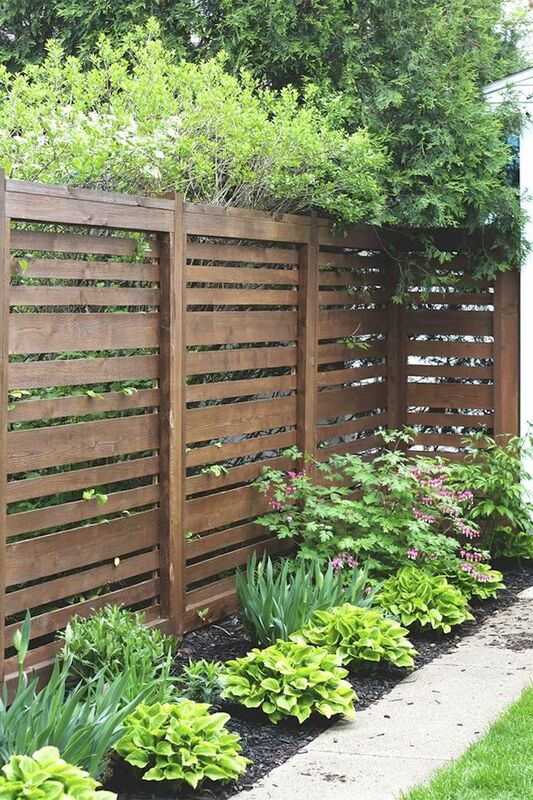 Providing privacy and security for an urban backyard, this horizontal cedar-slatted fence also adds beauty. The stain color allows the landscaping planted in front of and behind it to pop. 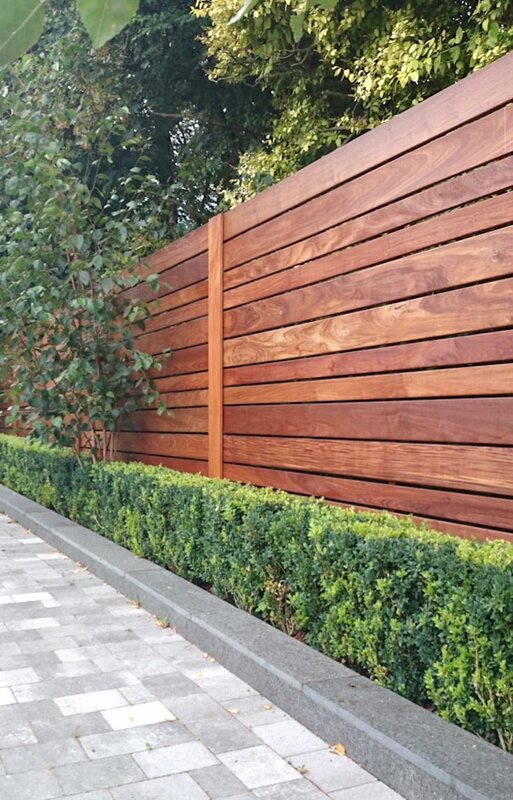 Another urban fence, this one features slats in multiple sizes that provide a nice detail but still maintain privacy. The smaller scale of this fence, both in height and in slat size, makes it effective yet nonimposing in this outdoor space. Here again, scale is important. 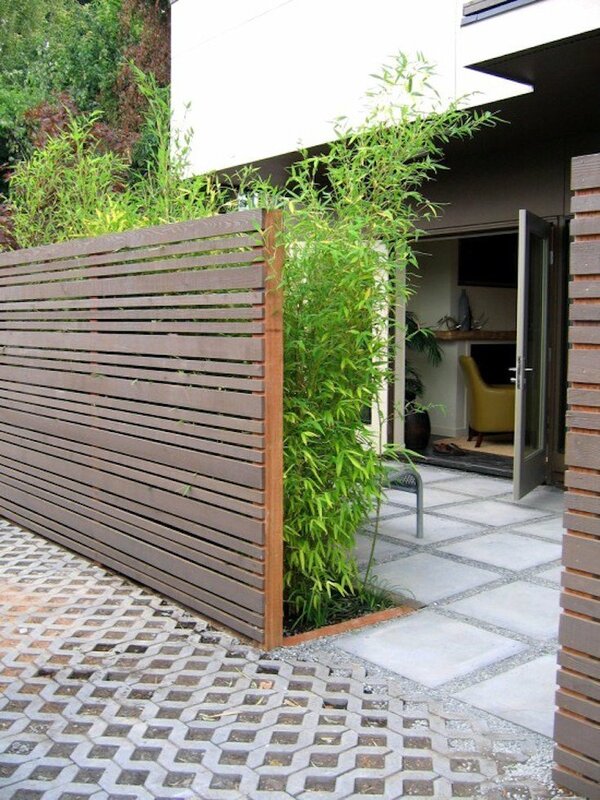 Although this fence is taller for privacy, the thin slats don’t overpower this small courtyard. The result is a space that feels calm and balanced. 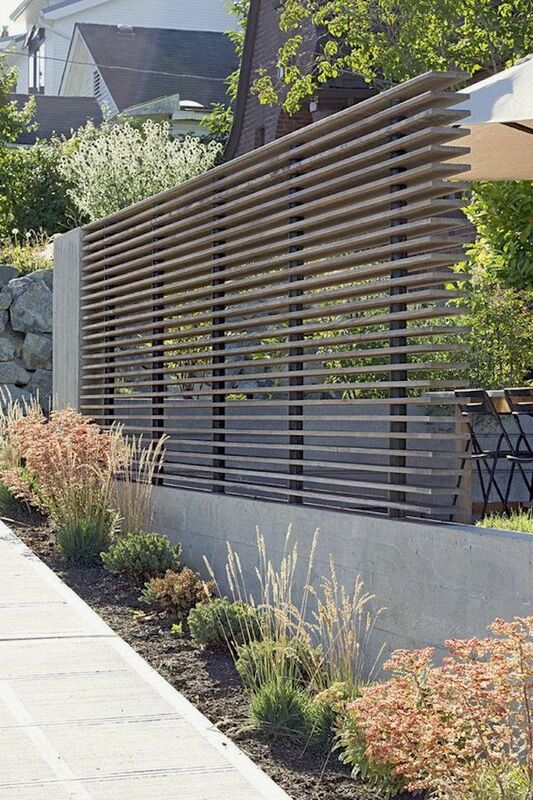 This tall, thin-slat horizontal fence provides both privacy and a clean and contemporary border for this serene outdoor space. This eye-catching fence’s concrete base serves as a retaining wall for the yard behind it and also provides a level foundation for the fence above. 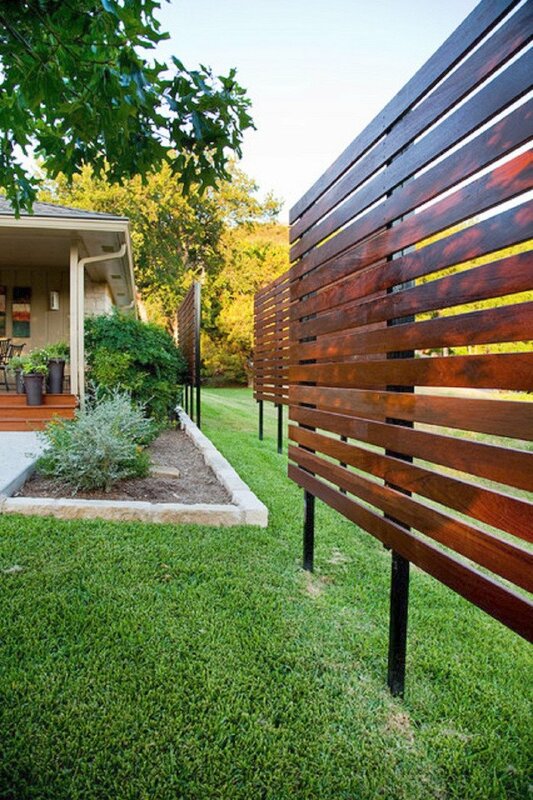 The fence’s horizontal wood slats—themselves set horizontally—offer some privacy but still allow for air flow. 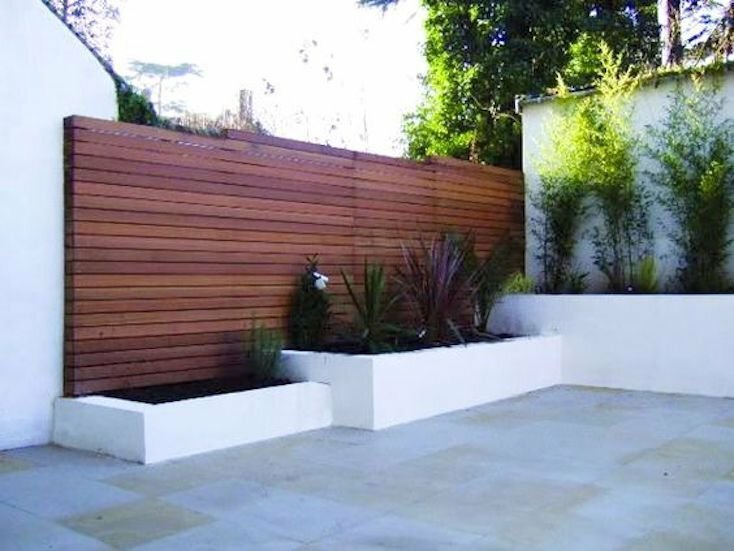 These nearly solid fence panels offer privacy via close-fitting slats as well as the towering height. 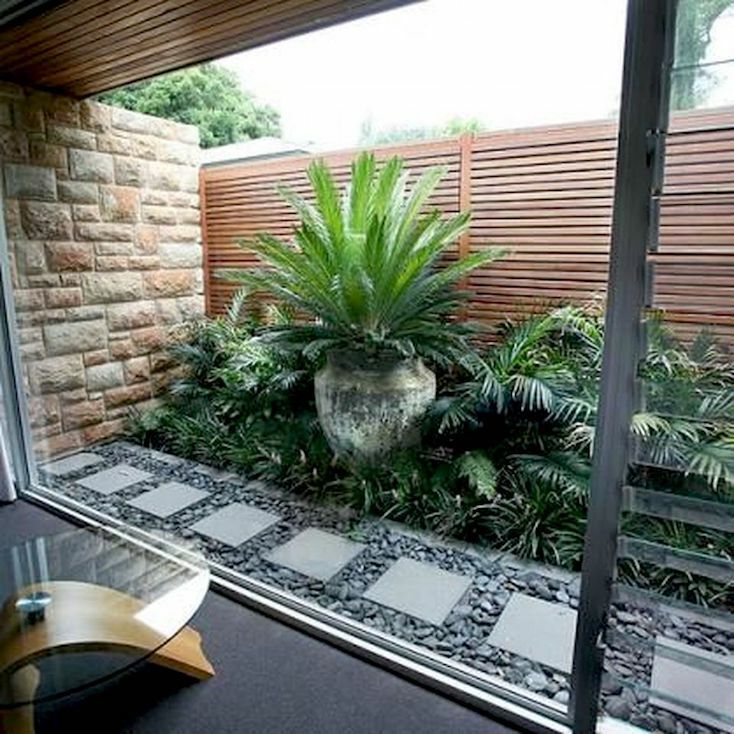 Privacy screens are a budget-friendly alternative to fences. 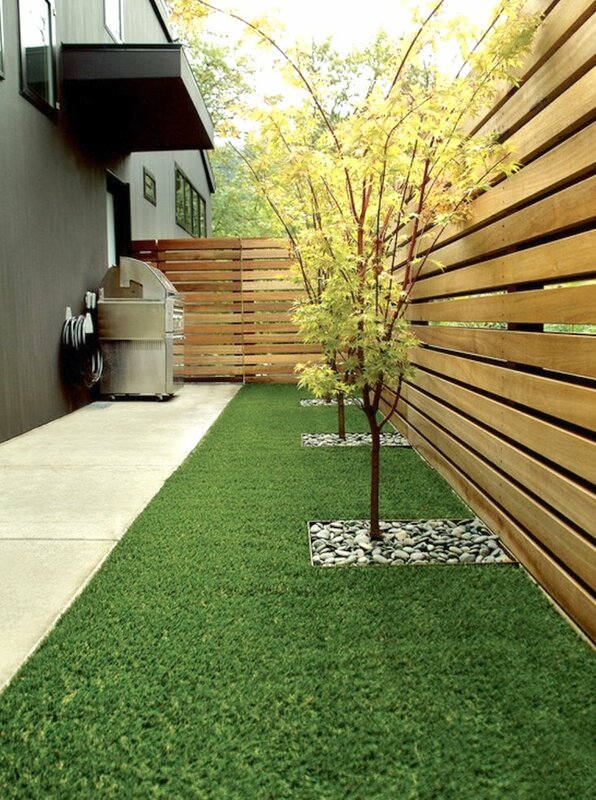 Even though they’re not as full as many fences, they still can add privacy, help block noise, and serve as a border for yards and landscaping. 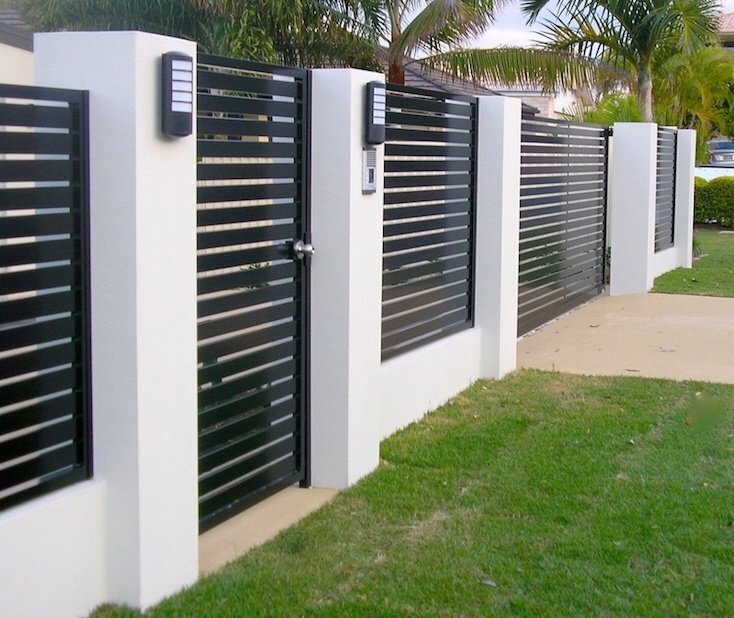 This type of fencing combines pickets or slats, hung either horizontally or vertically, with a more substantial base, oftentimes made of poured concrete. These fences are popular around houses that don’t have a large front yard separating the home from the sidewalk and street for the security and privacy they provide. Although it was designed for the aforementioned security and privacy, there’s a beauty and sophistication in the combination of colors, textures, and materials in this modular fence. In this version, the base is higher and matches the color and texture of the house close behind it. The more open slat design offers some privacy yet still gives off a warmer, almost welcoming feeling. Designing and building your own fence might not be out of the question if you’ve got some construction or craftsman skills. Many tutorials are available online, such as this one from HGTV or this one from The Home Depot, but the process is pretty straightforward: once you decide on the type of fence you want, measure and mark for the upright fenceposts, dig the post holes, set the posts securely in the holes with gravel or sand plus concrete, attach the rails to the posts, and attach the pickets or slats (or panels, if you’re using them) to the rails. Note this is a very simplified summary of fence-building, so if you’re interested in installing your own fence, be sure to do some research and so you know and understand all the necessary steps before you begin. Building your own fence might be another option for you. Here’s one way to do it. 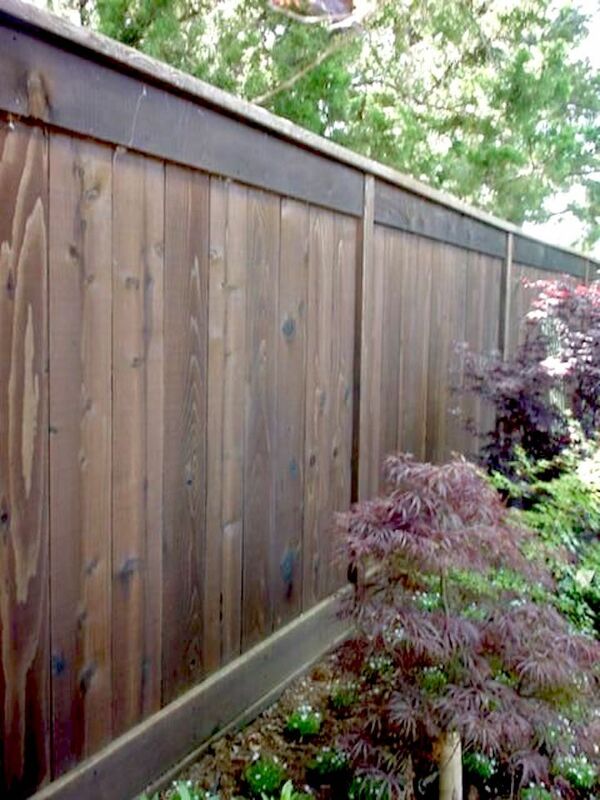 If you choose a wood fence, you want it to look nice and last for years. To help prevent your wood fence from deteriorating due to exposure to weather, heat, and time, it’s important to seal it. Wood stains and sealants help lock out moisture, guard against the sun’s damaging UV rays, and extend the overall life of your wood fence. Stains are available in solid (similar to paint, solid stains completely hide the visual wood grain), semitransparent (these allow some of the wood grain to show through), or clear (clear stains protect while allowing all of the wood’s natural color and grain to show), and many are tintable so you can choose the color you want. If you opt for a composite material for your fencing, chances are you won’t need to worry about sealing or otherwise finishing it. That’s part of the convenience of these materials. Metal fences need a coat of paint and often a primer coat underneath. Experts recommend an oil-based paint over latex for its durability.